1 of 400 Signed Limited copies. OVERVIEW: hey are out there, waiting in the shadows even in the highest places. The predators who stalk the weakest, most vulnerable members of society. 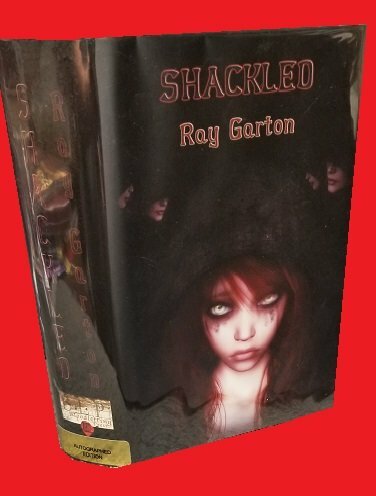 A burned out tabloid reporter and a bestselling true crime writer are about to stumble upon a dark conspiracy.... and a man who thought he believed in nothing discovers how high a price he will pay to save the innocent...the damned...the Shackled. 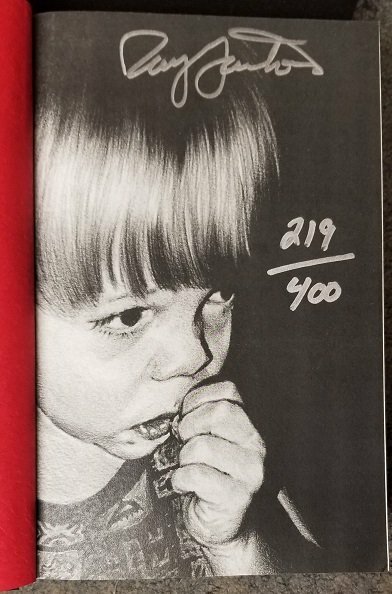 First Limited Printing, ARCHIVED and SEALED in an acid-free protective book cover upon receipt here and then sealed in plastic for complete archival protection. 2008 Blood Letting Press. New / New.